It is morning and Clare sits at the kitchen table, a breakfast spread in front of her. There is music playing in another room, a song too folksy and quiet for Clare to discern the words. Helen Haines washes her hands at the sink, wooden cabinet doors askew on their hinges behind her. What does Clare know of Helen? That she wears old jeans and a plaid shirt untucked. That she must be a decade older than Clare, forty-something, her dark hair streaked with gray and wrapped in a tight bun. That she owns this grand house and the eighty acres it sits on. That she invites women seeking refuge to stay here with her, women on the run. Women like Sally Proulx. Women like Clare. This time yesterday Clare stood on a patch of grass at a gas station hundreds of miles from here, watching from a distance as Malcolm filled the tank, cell phone warm to her ear, counting the rings on the other end of the line. My name is Clare O’Brien, she said when Helen Haines finally answered. I am a friend of Sally Proulx’s. Well-rehearsed lies, only her first name true. There had been a long silence before Helen cleared her throat and asked what Clare wanted. I need a safe place to stay, Clare said. And I know Sally is missing. I want to help. Hours later Clare stood at the gate to this strange house with her duffel bag at her feet, swatting at the flies that swooped in the stillness. Across the road from the gate a field of young corn stood ablaze in the pink light. Farmland and trees stretched in every direction. Thick with heat. Too reminiscent of home. When Clare emerged through the bend of trees arching over the long driveway, the first thing she noticed was the river. The willow tree. This house. And standing before it all on her front steps, hands in the pockets of her faded jeans, its matriarch, Helen. “How did you sleep?” Helen asks, still hunched over the sink. The story Clare told Helen had her traveling from the east and not the north. Helen will know nothing of Clare’s actual trip with Malcolm, the turn inland from the ocean, southward on busy highways, the sun high and blaring through the windshield, a full day of driving until he’d deposited her at a nearby gas station and she’d called the taxi to take her the rest of the way. Helen will know nothing of the curt and fumbling good-bye Malcolm offered as he unloaded her bag from his truck, a strained nod in her direction before driving away, the parking lot gravel too wet from rain to kick up under his wheels. “I debated coming at all,” Clare says. Clare pauses, mirroring Helen’s frown. “Because Sally told me,” Clare says. “My brother. He lives across the river. It’s a memorial to our parents. But now . . .” Helen trails off. Clare lifts a salt shaker from the table and clutches it hard in her fist. She thinks of the details on Sally’s family from the file, a mother dead and a sister across the country quoted in a story about Sally’s disappearance as saying they’d long been estranged. No father. Few friends. Sally Proulx and her son, alone. It’s hard to pinpoint how it happens, how the isolation sets in for women when a marriage turns bad. “Did you see Raylene this morning?” Helen asks. “Is it just you and Raylene in the house?” Clare asks. Ginny, Clare thinks. Virginia. The only photo from the case file had been culled from social media, a hazy profile shot of a young woman in a bikini top and flowing skirt, arms bent loosely overhead, the river swirling fast behind her. Helen stands again and returns to the sink. The room is large and square, a long harvest table at its center. A back door leads to a stretch of untended field and then a distant grove of trees. So much like home, Clare thinks again. “I’m happy to talk to them,” Clare says, smiling to ward off the surge of dread at the prospect. Helen stares at Clare, rapping her ringless fingers against the table, her nails cut square. There is a simple beauty to Helen, skin golden from summer sun and eyes a deep brown, but she does nothing to play it up. Clare thinks of her own mother, yanking the brush through her hair and dabbing on lipstick before so much as opening the door to receive the mail. You have standards or you don’t, she’d say to Clare as they roamed the cosmetics aisle of the drugstore. There is no middle ground. “No she didn’t,” Helen says. In the file the only pictures of High River were from the initial missing persons report, the details of this refuge laid out in the plain language of police-speak. For years Helen Haines had housed women who needed a safe place to land, sometimes for months or years at a time. It might have been a refuge a week ago, Clare wants to say to Helen, but now it’s a crime scene. Clare picks a muffin from the basket and rips it in two, grateful for the reprieve. The first bite is so moist it dissolves on her tongue. She wants to cry at its sweetness. With a swoosh the back door swings open and Raylene steps into the kitchen. In the daylight Clare can glean the details, Raylene’s black hair wavy down her back, her skin and eyes a dark brown. “Clare is a friend of Sally’s,” Helen says. “We only spoke for a minute,” Clare says. The smell of coffee has overtaken the room. Helen pours a cup for each of them, laying out the cream and sugar at the center of the table. Raylene drops a heaping spoon of sugar into hers and stirs so that her spoon clanks against her mug, eyes never leaving Clare. A mosquito lands at the center of the table. Clare lowers her fist to squash it. “I hate when people say that,” she says. “Excuse me?” Raylene perks up in her chair. Clare shrugs, uncertain herself. She’d figured that playing the part of Sally’s friend would allow her to ask questions, to integrate. That she could fill in the blanks if people dug deeper, work around inconsistencies by claiming a faulty memory, difficult circumstances under which she and Sally met in the first place. Raylene squeals her chair along the floor as she stands. She returns the uneaten breakfast to the refrigerator and cupboards, opening and slamming each door with a flourish. Her figure is curvy, and as she reaches for a high cupboard to return the unused teapot her T-shirt lifts. Clare spots the scarring snaked along her belly, the white crisscrosses of faded stretch marks. The marks of a pregnancy with no mention of a child. When the table is cleared Raylene leans on the counter, blowing her hair from her eyes, jaw pulsing. Livid. “I’m not random,” Clare says. “She’s Sally’s friend,” Helen interjects. A sharp ache jolts through Clare’s shoulder. She rests her palm over it. She can’t tell if she’s sweating from the heat or from the feverish spell that comes with the long stretch without anything for the pain. Withdrawal. In a flash Clare’s eyes fill. The tears are strangely authentic. Maybe she need only think of her own regrets to invoke this emotion, to think of her own departure, all that she left behind. She need only imagine Grace, imagine her oldest and only friend coming for her, coming too late just as she has pretended to do here. Clare presses her fingers to her eyes. Helen reaches across the table to squeeze her hand. Raylene is watching Clare from her perch at the counter, arms crossed. Clare nods, sniffling, scooping the crumbs from her muffin over the edge of the table into her cupped hand. These are women among whom trust must be earned. Is it a great stretch for Clare to play this part? No, Clare thinks, swiping away the last of the tears. She could have been friends with Sally. She could have tried to help her friend when everything went awry. So it isn’t a stretch that Clare might be the one to make things right. How do you find the truth in a town full of secrets? Sally Proulx and her young boy have mysteriously disappeared in the stormy town of High River. Clare O’Dey is hired to track them down, hoping against all odds to find them alive. But High River isn’t your typical town. In a town where secrets are crucial to survival, everyone is hiding something. And the police clearly have an ulterior motive beyond solving the case. Malcolm Boon, who hired Clare, knows more about her than he reveals. Their benefactor, Helen Haines, conceals a tragic family history of her own. As the truth surges through High River, Clare must face the very thing she has so desperately been running from, even if it comes at a devestating cost. Compulsively gripping and twisty, Still Water is a deep dive of a thriller that will leave you breathless. 1. How does the first chapter invoke the mood for this novel? Why do you think the author opened the novel this way? 2. As Clare is assuming the identity of Sally’s friend, what does she realize about herself? How does her experience feed into this new identity? 3. How would you describe Helen and Ginny’s relationship? What is Clare’s impression of the women at High River? 4. Describe Clare’s interaction with Markus in the bunker. Why do you think she was “grateful to be away from him at last” (page 71)? 5. During the interrogation with Somers at the police station, why does Clare agree to give Somers her phone number? If you were in her shoes, would you have done the same? Why or why not? 6. When Clare meets Malcolm at Sentinel Park after not seeing him for weeks, what does she notice is different about him? How does this make you feel about Malcolm? 7. Describe Clare’s meeting with Jordan at his office. What’s your impression of Jordan? Of Philip? 8. On page 118, Raylene says, “We lie to protect ourselves,” to which Rebecca responds, “We lie to get what we want.” Which character do you agree with and why? 9. What does Clare eventually learn about her time with Malcolm at the motel? 10. After Rebecca’s confrontation with Markus about Sally, the rest of the group gather in Helen’s living room, where the characters start making certain accusations. What grievances and grudges emerge, and are you surprised by any of them? 11. Describe Clare and Grace’s reunion. Are you surprised by how it turns out? 12. Just as Clare starts to give up on the High River case and give in to her addiction, something changes her mind. What is it? 13. Janice says to Clare, “Women are capable of that. Of burying things” (page 287). Do you agree with Janice’s statement? Discuss what each female character might “bury” in this novel. 14. In the end, what does Clare plan to do? What do you think about her decision? What do you imagine will happen in the next book? 1. Read (or re-read) Still Mine where Clare was first introduced to us. Discuss her character development in this novel. 2. People from Clare’s past, like Jason, her mother, and Grace, particularly their gestures and words, seem to appear in her subconscious, triggered by some external event. Discuss the imprint that some people leave on an individual. Is it possible to get rid of or to silence this imprint? 3. Consider volunteering or visiting at domestic abuse shelter in your area. What kind of research was involved in writing this book? What resources did you use? I spend time researching practical things I don’t know a lot about, like guns and police procedural work. But the most helpful research for me is reading about real-life experiences that come as close to my characters’ stories as possible. In the early stages of a book, I look at real-life cases or accounts to help me authenticate details. What I love most about the process is the unbelievable true stories you come across. Writers, especially thriller writers, often worry we are straining credulity in our plot points, but the reality is that stranger and more far-fetched things than what I write happen all the time in real life. How did you invent your new characters in Still Water? In writing Still Mine I learned that the best way for me to build character was to treat the first draft of the book as a sketch, an outline of their personalities. It takes me a few drafts to figure out who they truly are and what roles they play in the story. Sometimes you end up cutting or adding or merging characters after an early draft so the ones you’re left with are richer and more integral to the story. Ginny and Raylene started out as four characters, but after the first draft I fused them into two better ones. Building people from scratch isn’t easy! I’ve learned to give myself the time to do it. Is there one character you relate to or sympathize with the most? My favorite character in Still Water is definitely Somers. She didn’t actually appear until the second draft, but by the final stages of writing I was having so much fun with her. It was nice to create a strong woman character who exists on the outside of the story and is more of an observer. But the character I empathize with the most is still Clare. She’s the one who’s been with me since the beginning, and by the time I was done writing the second book I felt like I knew her so well. She feels real to me. She annoys me too, which is funny because I’m the one making her up! Ginny, despite appearing young and immature, seems to be the most honest person at High River. Do you think her age factors in to her ability to speak the truth? I’ve taught high school for many years, so it was important to me to get Ginny right and to have her reflect the smarts I see in the young people I teach. I think adults can underestimate youth in many ways, especially these days when they are often far more savvy with technology, messaging, and media than we are. I wanted Ginny to reflect that reality. She is observant and wry and angry with the adults around her for ignoring the issues plain to see, but because of her age, she is dismissed. 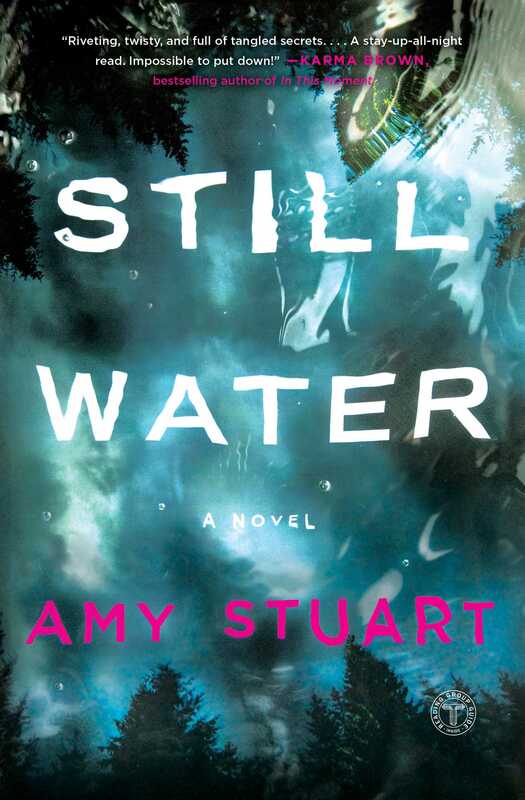 Water is mentioned in the title and it serves as a setting for the novel. Is there a significance to water? Why did you choose High River? The first thing that comes to me when I’ve got a novel in mind is the setting and how it impacts the characters and the story. With Still Mine it was the remote mountains and the thin air, and in Still Water, it was the heat and the churning water of a river. The elemental nature gives me a focus in the early stages of writing. And sure enough, I’m writing the third book and I find myself fixated on fire. The idea of truths and lies are two notions that often come up in this novel. What fascinates you about these two concepts? The thing about truth that fascinates me the most is its subjectivity. I do an experiment with my students where we watch something together and then everyone writes down what they saw. The results are as remarkable as they are consistent; even though we all watched the same thing, we re-tell it very differently. Truths and lies are so wrapped up with our memory, our experiences, and our intentions. We might not always mean to lie, but we may still tell a version of a story that suits us more than the whole truth. That subjectivity is a gold mine for novel writers. How did your experience writing Still Water compare to writing Still Mine? It was surprisingly different. Still Mine was written slowly over five years as I found my legs as a writer and then worked with editors to whip it into shape. With Still Water, the process was much faster, which made it more difficult in some ways. At the same time, I felt better equipped as a writer to deal with certain issues, particularly around plot complexity. I think the biggest lesson I’ve taken into writing the third book is to not fiddle too much with the early drafts or stress about them being messy and somewhat incoherent. It takes a few drafts for a book to take meaningful shape, and two books later, I’m finally okay with that. What draws you to the psychological thriller/suspense genre? Given the genre’s popularity, how do you make sure to stand out? I always knew I wanted to write books that focused on character. Even though Still Mine and Still Water are thrillers, it was important to me to give the characters a lot of depth and make the books just as much about them as they are about the plot and the whodunit aspect. I hope that makes them stand out a bit. Name a few writers who influenced your writing. Are there any recent books that caught your eye? When I first started out, I searched for authors who were masters of plotting. 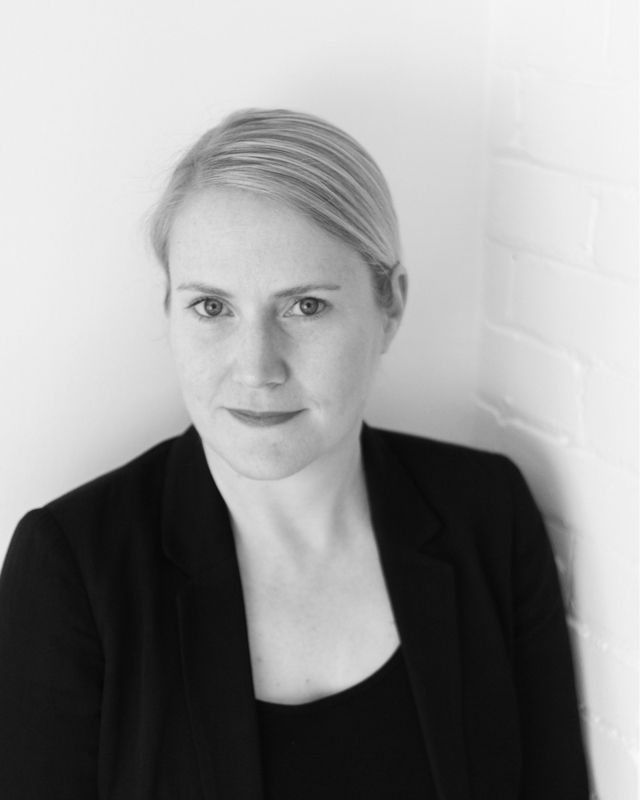 Some big influences include P, D. James, Dennis Lehane, Louise Penny, and Ian Rankin. These days, I’m overwhelmed by the breadth and quality of books out there, even within the thriller genre. Some amazing writers I’ve read lately are Mary Kubica, Jennifer Egan, Louise Erdrich, Nathan Ripley, and Iain Reid. Without giving too much away: What can readers expect in the next chapter of Clare’s journey? What else are you working on? Right now I’m working on Clare’s next adventure. Even though I’m the one who wrote her, I’m still amazed by how far she’s come along since the first pages of Still Mine. She started out very troubled, and while that will always be part of who she is, I think readers will see her strength and determination and resilience shine through a lot more in the third book. I’m excited for that. "Utterly compelling and intriguing, Still Water is a very clever whodunit with a most appealingly vulnerable protagonist. My husband thought I was ignoring him while I was reading this book. I wasn’t. I just forgot he existed because I was so engrossed. Warn your families before you pick up this book." "[A] dark and disturbing sequel to Stuart’s debut novel, Still Mine . . . Stuart has created a gripping neo-noir staged in an oppressively hot setting alongside an out-of-control river, with a cast of badly damaged people beset by abuse, addiction, denial, and obsession who seem doomed to do the right things for the wrong reasons and the wrong things for the right reasons." "Engrossing . . . a complex heroine to whom readers will relate and the vividly evoked natural setting save the day." "You won't know who to believe in this titillating charade."